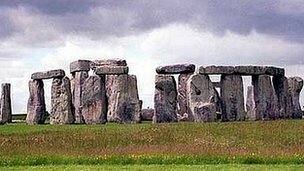 Researchers also believe the stones, from southern England and west Wales, symbolize different communities. Prof Mike Parker Pearson said building Stonehenge required everyone “to pull together” in “an act of unification”. The Stonehenge Riverside Project (SRP) has been investigating the archaeology of Stonehenge and its landscape for the past 10 years. 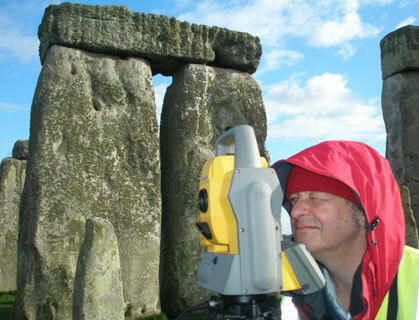 In 2008, SRP researchers found that Stonehenge had been erected almost 500 years earlier than had originally been thought. ester, Southampton, Bournemouth and University College London, have concluded that when the stone circle was built “there was a growing island-wide culture”. 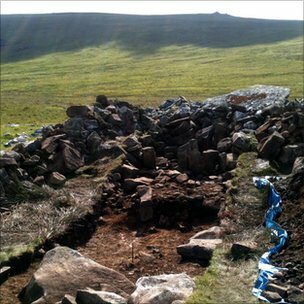 “The same styles of houses, pottery and other material forms were used from Orkney to the south coast – this was very different to the regionalism of previous centuries,” said Prof Parker Pearson, from University of Sheffield. “Stonehenge itself was a massive undertaking, requiring the labour of thousands to move stones from as far away as west Wales, shaping them and erecting them. The SRP team found that its solstice-aligned avenue sits upon a series of natural landforms that, by chance, form an axis between the directions of midsummer sunrise and midwinter sunset. “When we stumbled across this extraordinary natural arrangement of the sun’s path being marked in the land, we realised that prehistoric people selected this place to build Stonehenge because of its pre-ordained significance,” said Mr Parker Pearson. 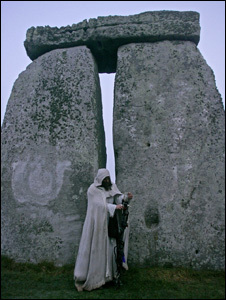 “This might explain why there are eight monuments in the Stonehenge area with solstitial alignments, a number unmatched anywhere else. “Perhaps they saw this place as the centre of the world”. Previous theories suggesting the great stone circle was inspired by ancient Egyptians or extra-terrestrials have been firmly rejected by researchers. 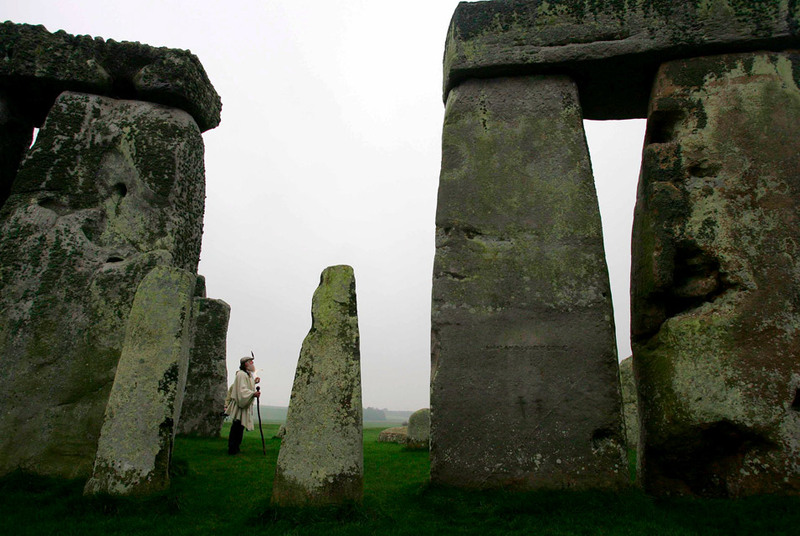 “All the architectural influences for Stonehenge can be found in previous monuments and buildings within Britain, with origins in Wales and Scotland,” said Mr Parker Pearson. “In fact, Britain’s Neolithic people were isolated from the rest of Europe for centuries. “Britain may have become unified but there was no interest in interacting with people across the Channel. The project is funded through Google Research Awards, a program which fosters relationships between Google and the academic world as part of Google’s ambition to organise the world’s information and make it universally accessible and useful. 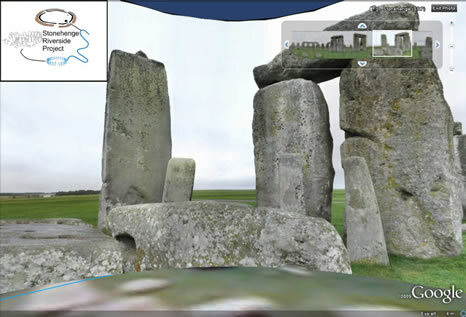 “It is envisaged that Google Under-the-Earth: Seeing Beneath Stonehenge could be the start of a new layer in Google Earth. Many of the world’s great archaeological sites could be added, incorporating details of centuries’ worth of excavations as well as technical data from geophysical and remote sensing surveys in the last 20 years.” she said. The Stonehenge Riverside Project was a joint collaboration between Universities of Bournemouth, Bristol, Manchester, Sheffield and University College London. It was led by Professor Mike Parker Pearson, University of Sheffield, and co-directed by Professor Julian Thomas, University of Manchester, Dr Joshua Pollard, University of Southampton (formally University of Bristol), Dr Colin Richards, University of Manchester, Dr Chris Tilley, University College London and Dr Kate Welham, Bournemouth University. This project has been supported by: The Arts and Humanities Research Council, the British Academy, the Royal Archaeological Institute, the Society of Antiquaries, the Prehistoric Society, the McDonald Institute, Robert Kiln Charitable Trust, Andante Travel, University of Sheffield Enterprise Scheme, the British Academy, the National Geographic Society, with financial support from English Heritage and the National Trust for outreach. 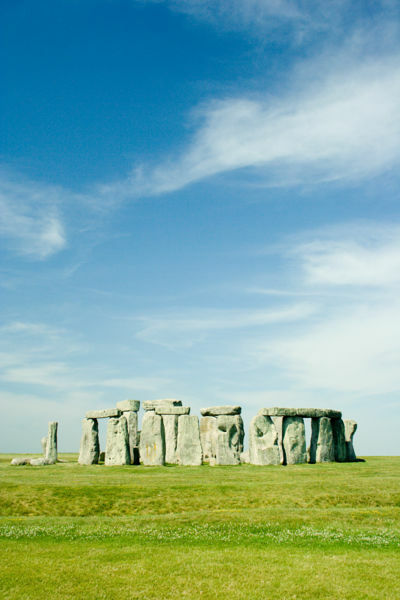 The project was awarded the Bob Smith Prize in 2004 and the Current Archaeology Research Project of the Year award for Bluestonehenge in 2010. Merln says: The tool is easy to use and requires Google Earth to be installed on your computer.